Framed ink and watercolour.Â Part of the Haikudelka exhibition, yours for $330 inc GST from Spacebar Gallery off Woobyâ€™s Lane in Salamanca. If you want to buy it and you’re not in the neighbourhood, it’s $350 inc postage.Â Contact me to buy as I’ll have to check it isn’t already sold. This has been a bit of a favourite in the studio for a while, but I have generously decided to give someone the chance to have it on their wall for real cash money. $440 inc GST from Spacebar Gallery off Wooby’s Lane in Salamanca. If you want to buy it and you’re not in the neighbourhood, it’s $460 inc postage. Contact me to buy as I’ll have to check it isn’t already sold. 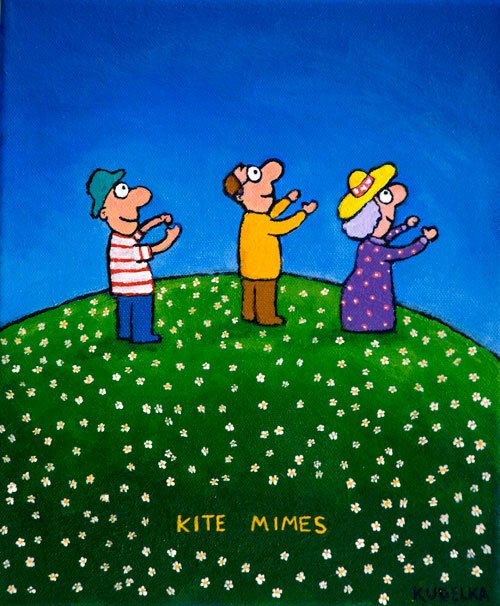 UPDATE: The Kite Mimes original is sold! Prints still available. 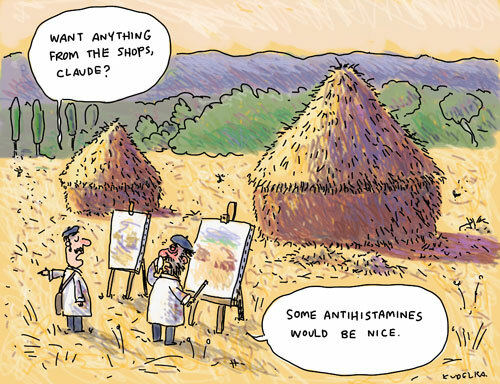 It’s also available as a signed print (image size approx 17cm x 20cm). Prices include GST and delivery. I’ve been drawing Dopey Bay for about 15 years now. While people say Chooka’s a bit like me, and his best girl Shazza sometimes repeats stuff my wife said the other day word for word, that is of course entirely coincidental. 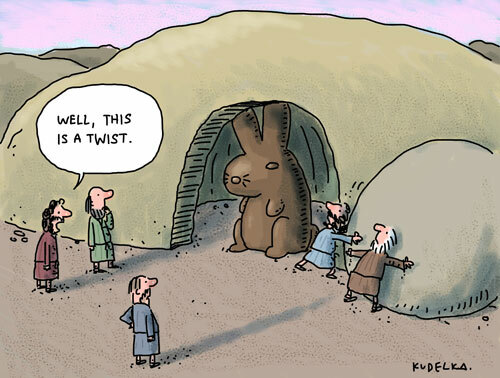 This cartoon however, is completely autobiographical. Still wondering how they got there.